Have you ever been told that you need to take premedication for dental treatment? Those with heart conditions that may predispose them to infective endocarditis. Those who have prosthetic joints and may be at risk for developing hematogenous infections at the site of the prosthetic. In 2007, the American Heart Association in collaboration with the ADA reformed the guidelines to support premedication for dental treatment for a smaller group of patients than previous versions. 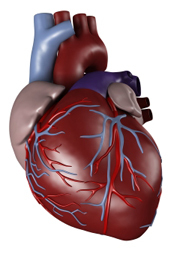 A cardiac transplant that develops cardiac valvulopathy . Unrepaired cyanotic congenital heart disease, including palliative shunts and conduits. A completely repaired congenital heart defect with prosthetic material or device, whether placed by surgery or by catheter intervention, during the first six months after the procedure. Infective endocarditis is a bacterial infection of the heart. Hematogenous infections are infections of the blood. They are both very serious and can lead to death. Premedication for dental treatment is recommended for all dental procedures involving manipulation of gingival tissue or the periapical region of the teeth, or perforation of the oral mucosa. This would include dental cleanings and all restorative work. To allow the antibiotic to reach appropriate blood levels, it should be administered 1 hour prior to the appointment. If a patient forgets to premedicate, an antibiotic can be taken immediately prior to treatment or up to two hours after; however this is not ideal and increases risk. If you have been previously told that you should take premedication for dental treatment and believe you no longer need to, you must have written documentation from your surgeon or cardiologist stating such. Always consult your dentist and doctor before starting or stopping any medications. Women taking oral contraception should be aware that antibiotics may interfere with the effectiveness of birth control. If you need a prescription refill for your antibiotic premedication, please call us at Adams and Cheek prior to your appointment so we can call it into your pharmacy for you. We are happy to answer any questions you may have! Please call us today at (919)866-1360! Or click here to schedule an appointment online. Read more from the ADA on Premedication for Dental Treatment here.